The pulpotomy procedure removes contaminated portions of pulp to prevent additional deterioration of rotting nerves and teeth. This form of dental treatment gets rid of portions of tooth pulp in the pulp cell. Here is a closer look at the pulpotomy procedure to help you determine if it is ideal for your youngster and give you an idea of what to expect during the procedure. Though teeth have strong external surfaces, there is a soft space within their interior. This is known as the pulp. The pulp is just above the gumline. It has the blood vessels and nerves that provide nutrients and other assistance to the teeth. We remove infected pulp during a pulpotomy. Such infection occurs when nasty microorganisms spread throughout the mouth. The pulpotomy is a fairly basic procedure. Do not think of it like a root canal. We perform the pulpotomy procedure on those who need a root canal but will not have one for several weeks or at all. The pulpotomy decreases swelling, gets rid of infected pulp and even serves as a form of therapy for primary teeth with far-reaching cavities. These far-reaching cavities can impact the pulp atop the roots of teeth without proper treatment. The actual procedure involves an opening of the tooth pulp cell. Decay is eliminated as necessary and the tooth is sealed up. The tooth crown is added to the tooth to prevent additional decay. The crown also guards the tooth to boot. This is a fairly fast, straightforward and affordable procedure. Some youngsters are especially susceptible to tooth decay. If they lose milk teeth sooner than they should, there will be some pain after deep cavities form. Such cavities affect the nerves of tooth roots. Has the pulpotomy performed at a reasonable point in time to minimize complications? 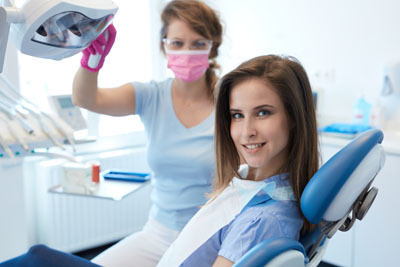 A timely pulpotomy can prevent a full root canal or even the total removal of a tooth. As soon as the decay is pinpointed and eliminated, there will not be a chance for bacterial contamination to occur in surrounding tissues. Add in the fact that your little one might not have to endure the pain of a root canal and it is easy to see why the pulpotomy is a fairly common and popular procedure. The end result is reduced pain, less tenderness and the ability to tolerate high and low temperatures. If you are considering a pulpotomy for your youngster, are looking for deep cleaning or another form of assistance with your teeth or gums, give us a call. Schedule an appointment with our office so we can review your oral health and help keep your teeth and gums stay in pristine condition. By scheduling regular appointments at least twice a year, we can help you maintain a healthy smile and gums for years to come.